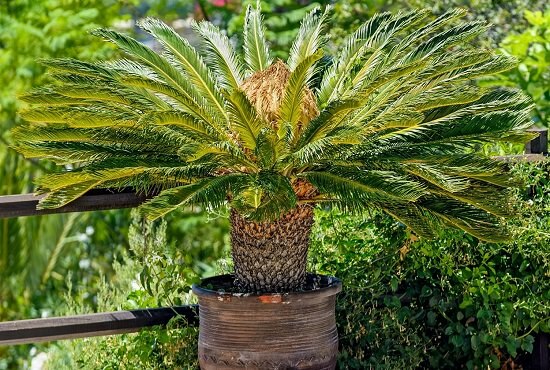 Whether you’re Growing Sago Palm in a Container or on the ground, there’re a few things you need to know before planting them. 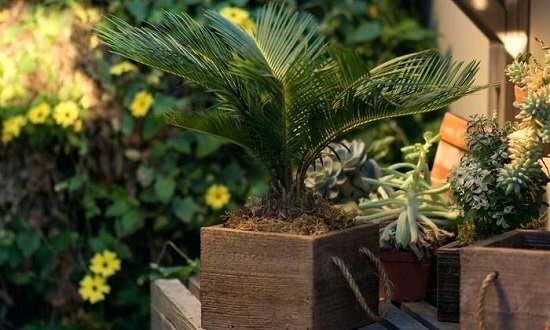 Learn them well in this Sago Palm Care guide! Contrary to their name, sago palms aren’t palms at all. They are hardy cycads with feathery fronds that make them a hit at urban gardens. Tolerant to extremes of temperature, the sagos are big guys with prickly plant parts, making them quite a challenge to grow in pots. However, with the right combination of soil, drainage, and growing conditions, sago palm care is easy. Growing Regions: Native to Japan and South-East Asia, the sago palm is grown popularly throughout the world nowadays. Sagos, like many plants, can be propagated easily from seeds and offsets or pups. Propagation from seed requires a preparation phase. Pluck out seeds from female cones, clean them and store them in a dry place. Wash them up and give a 24-hour presoak before planting. Offsets are pups that develop around the base of the mother plant. Planting them in new pots offers an easier way of propagation. Remove healthy offsets (3-5 inches of size) using a saw or a gentle tug. Give them a good wash and place them in the shade for four to seven days, where they can develop a callus at the fragmentation site. If you live in a hot climate, you can skip this step. Meanwhile, fill up a pot with potting media containing sand or perlite. Make sure the pot is at least 2 inches wider than the offset and has drainage holes. Arrange the offset in the soil. Water deeply and keep the pot in a spot that is warm and receives filtered light. Offsets may take several months to establish and sprout new leaves–until then, keep watering them regularly to keep the soil slightly moist. Sago palms are slow-growers that like staying root-bound. This means growing them in pots that are slightly bigger than the root ball is a good idea. Choose a pot that is only a few inches larger than the base of the plant. Unglazed ceramic and terra-cotta pots come with the advantage of absorbing excess soil moisture, providing a well-drained medium with just the right amount of dampness for sagos to grow. As a result, they are a better choice. Additionally, ensure the pot has lots of drainage holes at the bottom. Any soil that has some amount of perlite, sand/gravel and drains well works. Starting with overly loose, moist soil can set the stage for root rot early on. If you’re a beginner, consider buying cactus potting mix. Alternatively, you can make your own by mixing two parts regular potting soil and one part garden sand. Because sago palms require some moisture retention capability, also add one part peat moss. Don’t add the commercial fertilizer at the time of planting, wait for a couple of months until the plant is established. 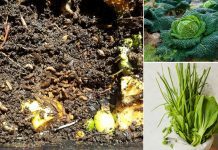 Alternatively, you can add a part of organic matter and compost to enrich the soil. Sago palms thrive best with 5-7 hours of direct sunlight each day. Think before relegating them to the darkest corner; shade-grown sagos are sorry to look at. With that said, direct sunlight can cause leaf burn–especially in summers. Keeping them in partial sunlight is a win-win. 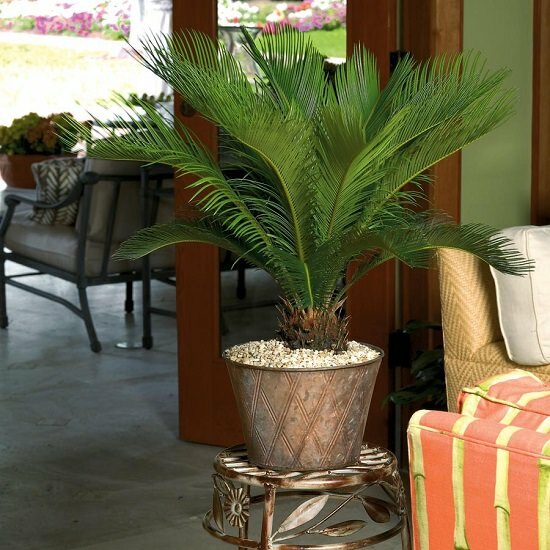 If you’re growing sago palm indoors, keep the pot in a Southern or West facing window to ensure a comfortable sun exposure. Ideally, when it comes to temperature, these plants are mighty forgiving, with adaptability to 15-120 F (-10-49 C). Nothing kills sago quite like excess watering. While it is vital to maintaining optimum moisture at all times, sago palms should be watered only when the top soil looks dry to touch. *Poke your index finger to identify the soil moisture. While watering, don’t wet the crown of the plant, which is where the roots meet the trunk. Always perform deep watering. How frequently? It depends on the weather conditions and whether you’re growing it indoors or outdoors and the amount of sunlight it’s receiving. For example, increase watering to improve soil moisture in the summer and reduce watering in the winter. *Be vigilant when it comes to sago palm, growing indoors. Tip: Resist the urge to water more frequently when you observe older leaves turning yellow or brown. As you know already, sagos grow at a snail’s pace. Which means regular pruning is not required. Just remove the dead, sickly leaves or pluck the fruit and flower stalks, leaving perfectly green foliage intact. Snip off leaves close to the main trunk. If you want a heavy pruning, cut off all the fronds except the topmost ones. And whatever you do, keep the sago palm leaves that are angled at ten and two o’ clock untouched. Fertilize two-three times in a year, once in the spring and once in the summer and once in the fall with a granular, slow-release feed having 8-2-12 or 10-5-10 strength of N-P-K and high amounts of magnesium. Refrain from fertilizing in winter when growth is minimal, especially if you’re growing sago palm in a cold climate. If your sago palm is in the shade, reduce the strength of the fertilizer. You can also apply the compost or well-rotted manure bi-annually. Sagos are slow-growers, and there’s no need for repotting in the 1-2 years after planting them. Your plant will give you clues. 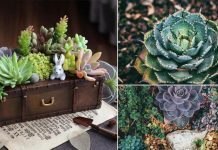 If you notice roots emanating from drainage holes, or water taking an alarming amount of time to trickle down the holes, or the container feeling unusually heavy, or plant is becoming thirsty now and then, you know it’s time to repot! 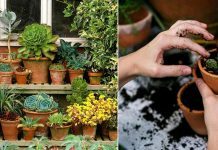 If summers are short where you live, repot in the spring. In warmer regions though, any time of the growing season is a good time. However, if your sago starts to outgrow its container, it’s best to repot immediately rather than waiting for Mother Nature’s approval. Angle your current pot sideways and clasp the base of the palm in one hand. Position the other hand on the rim of the pot and develop tension. The plant should come out with a slight pull; if it doesn’t, try coaxing it out with a gentle tug. Once free, plant it in the new pot and pack in the potting mix. Water thoroughly and shift the pot to the desired spot. 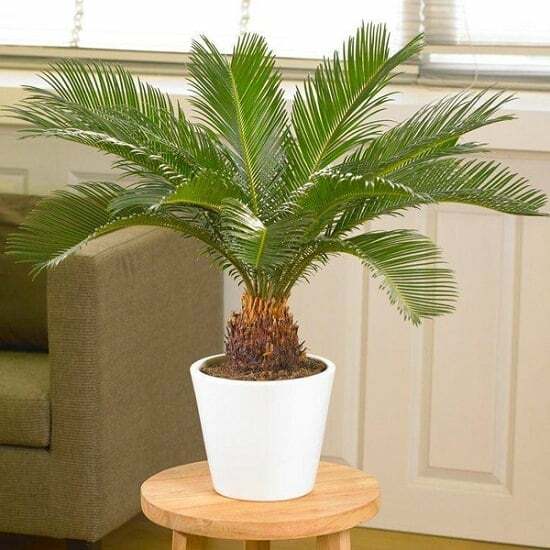 Tip: While repotting, plant the sago palm a bit above the soil line to avoid the accumulation of water around the base of the trunk. Sago Palms are almost impossible to kill, but their nutrient-rich leaves and dense roots make them vulnerable to fungal diseases. Common Symptoms: Yellowing of leaves, the softness of roots or trunk. Treatment: Correct watering practices, removing affected leaves, moving the plant to drier soil and treating with a cycad fungicide can prevent these problems. Mealybugs and scale insects are the most common sago palm invaders. A mild spritz with alcohol or a wash with insecticidal soap solution may help. Yellow, fading or frizzled leaves indicate manganese deficiency due to an imbalance in soil pH. Adding manganese and checking soil pH periodically can solve the problem. Here’s an excellent article to read regarding this issue. Leaves that appear scorched or discolored are often the result of aberrant temperature changes. Moving to a more controlled environment may help. Note: Sago Palm is toxic, and be extra careful if you’re a parent of a curious pet. We also included it in our poisonous plants’ list for dogs.